Shopping for Sports: Baseball Action Figures? Josh Hamilton is now a 7-inch tall action figure having just cracked a home run! This MLB Los Angeles Angels Josh Hamilton 7-Inch Action Figure features the Los Angeles Angels stand-out player as he smacks a ball for a home run hit, complete with his red Angles shirt. 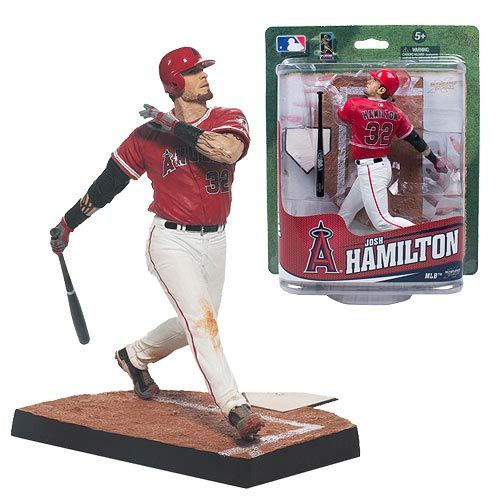 If you're a fan of Josh Hamilton, the Los Angeles Angels, or just Major League Baseball in general, then this 7-inch tall action figure belongs in your collection! Ages 5 and up.